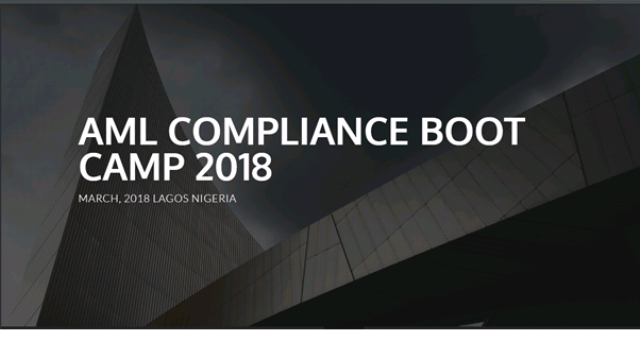 ​​ AML COMPLIANCE BOOT CAMP - Coming in 2019 Watch Out!! ​Stream two comes up in June 2018.
g-Log Consult also known as g-Log Business Services Limited, is ranked as one of the most experienced and dependable training companies in Nigeria and its sub region. We specialise in Anti-Money Laundering / Combating the Financing of Terrorism (AML/CFT), background check /staff vetting, regulatory compliance, tax matters, financial crimes, fraud, audit, corporate governance, ICT consulting among other subjects. Welcome to our site. Learn all you need to know about goAML.